As the national discussion on opioid abuse continues, state governments are looking to their tax laws as a way of “addressing” the issue. The Kentucky House recently approved a 25 cent per pill tax for every dose sent into the state. The measure now moves to the Kentucky Senate. The state expects to raise $70 million a year from the tax. Kentucky does not, however, intend to use the funds for opioid addiction treatment, but plans to use the tax revenue for unrelated budget needs. At least 13 other states have pending legislation to impose taxes on opioids. The proposals vary in type and severity. Legislators in Oklahoma for example are proposing a 10 percent tax on the first sales of opioids into the state. Minnesota is considering a one cent per milligram tax on each dose distributed into the state. The other states considering opioid taxes are Alaska, California, Delaware, Iowa, Maine, Massachusetts, New Jersey, New York, Pennsylvania, and Tennessee. The imposition of a tax will certainly affect manufacturers and distributors of opioids. More importantly, such taxes will significantly impact the millions of people who rely on these FDA- approved medications for legitimate medical needs. Basic economics teaches that when you tax something, you get less of it. Making certain drugs more expensive will undoubtedly lead to less production and consumption. While this may be the ultimate goal of the state legislatures, there does not seem to be a plan in place to address the legitimate needs of those patients the drugs are designed to help. Interestingly, there is no evidence that a tax will address the goal of many states — reducing addiction. Indeed, most of the states, similar to Kentucky, will not use the extra revenue to fund substance abuse programs. Manufacturers and distributors should be aware of the practical issues concerning these tax proposals. These laws will be more complex than most politicians think. Companies will have to determine specifically what drugs are subject to tax. They will have to know the exemption rules for Medicare and Medicaid recipients. And they will have to devise procedures to track drugs where a manufacturer sells through multiple distributors who are themselves in multiple states. While these taxes may not ultimately reduce the misuse and abuse of opioids, one thing is for certain, these taxes will be complicated. David Brunori is a nationally known state and local tax expert who regularly speaks before practitioners, revenue departments, and legislators. 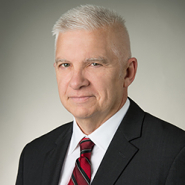 His practice includes all aspects of state and local tax, including planning, audit defense, and litigation. Beyond state and local tax, he practices in a wide variety of Federal tax areas.